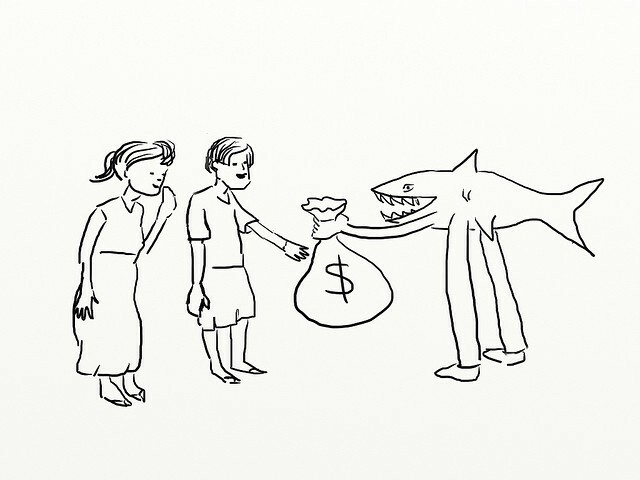 Payday lenders have a horrifying— yet effective — approach to lobbying. The payday lending industry makes its profits of off individuals who are living paycheck-to-paycheck — and they’re not afraid to admit that. Their interest rates are astronomical: the annual interest on a two-week payday loan ranges from 391 to 521%. And average annual interest rate matters because 4 out of 5 payday loans are rolled over, often trapping customers in a cycle of debt. As a result, payday lenders have faced increasing scrutiny: their rates were capped in the United Kingdom this year, and payday lenders are banned outright in 14 U.S. states and the District of Columbia. Now, the Consumer Financial Protection Bureau (CFPB), with the backing of President Barack Obama, has made a first step towards federally regulating the industry. But despite the Administration’s coordinated effort, it’s unclear if they’ll succeed. And that’s because this is an industry that knows how to lobby, and how to buy off its critics. Last week, the CFPB announced it will consider proposing regulations to “end payday debt traps.” Their proposal would require short-term lenders to ensure that borrowers actually have the ability to repay a loan before the loan is offered. The CFPB’s plan isn’t perfect: The Woodstock Institute warned that the proposal “includes a gaping loophole” because it would still permit up to three back-to-back loans. And the National Consumer Law Center argued that the borrower’s ability to repay shouldn’t just be based on income; it should also factor in the consumer’s debt and other expenses. But given how powerful, monied, and well-connected the payday industry is, it’s going to take a lot just to get this imperfect proposal off the ground, and even more to strengthen it. There are two main payday lending trade associations who are already teeing up to fight the CFPB’s proposed regulations: the Online Lenders Alliance (OLA) and the Community Financial Services Association of America (CFSA). Combined, these two groups spent over $1.6 million lobbying Congress in 2014. OLA and CFSA also spent $129,250 and $161,500 respectively in campaign contributions in 2014, both giving primarily to Republican candidates and Conservative PACs — after all, when your business model is predicated on people living paycheck-to-paycheck, it makes sense to fund the party that will continue cutting social safety net programs like food, housing, and disability assistance. Payday lenders also have a way of using their outsized wallets to make friends out of those who once criticized them. Former Congressman Walter Minnick of Idaho once told the radio show This American Life that he found the payday lending industry “a little unsavory” and that he was a bit uncomfortable with them, even as he resorted to accepting their contributions for his political campaign. But it seems the payday industry has been able to not only buy Minnick’s silence, they’ve bought his endorsement: Minnick now lobbies on behalf of the Online Lender’s Alliance, and his firm made $200,000 doing so in 2014. But studies by the U.K.’s Financial Conduct Authority (FCA) belies these claims. 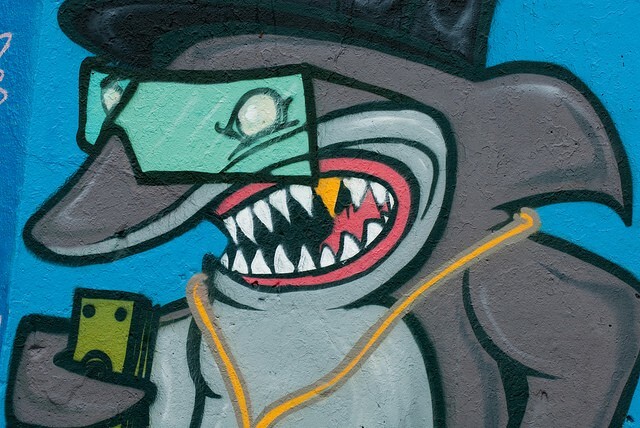 The FCA found that only 5% of current customers of payday loans were aware of loan sharks, and only 2% of them would go to loan sharks if payday loans weren’t available. And some experts, like James Daley of the U.K.-based consumer rights group Fairer Finance, argue that there was never demand for these expensive, short-term loans in the first place, and that demand was most likely artificially created by the industry itself. A New York man was charged with first-degree criminal usury for charging rates of up to 200% a year. A California man spent four years in federal prison for loan-sharking, but his weekly rates were 4% less than the weekly rates charged by payday lenders in Alabama. Payday lenders — with their run-down store fronts, late-night commercials and shabby public image — may seem like small-time schemers to the many Americans who thankfully aren’t living hand-to-mouth. But make no mistake — these are highly connected, savvy political operators, who have managed to avoid federal scrutiny for far too long — even when they charge rates that would probably make the mafia blush. Alexis Goldstein used to work on Wall Street, and now writes about financial reform. Find more of my work at Medium, Twitter, FinanceIsBoring.com or alexisgo.com.